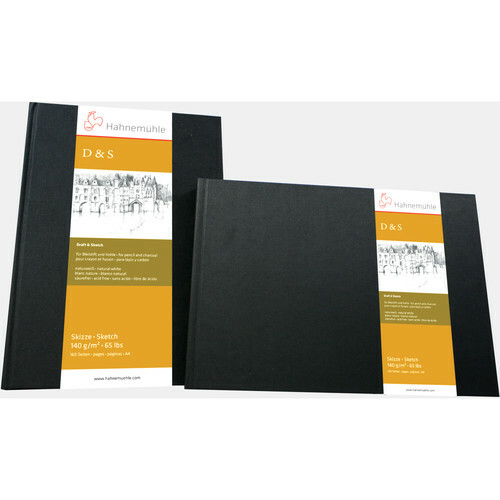 Draw, sketch, or write in style with this A5 D&S Sketch Book from Hahnemühle. With a landscape orientation, this book is composed of blue covers with 80 stitched sheets inside for a total of 160 pages. The sheets are made of natural white paper with a basis weight of 140 gsm, and are well-divided for smooth page turning. For easily spotting and retrieving your page, the book is equipped with a handy red ribbon place marker.